Lila York danced with the Paul Taylor Dance Company for twelve years, appearing in over 60 works. Since 1992 she has choreographed works for Birmingham Royal Ballet, the Royal Danish Ballet, San Francisco Ballet, Boston Ballet, Norwegian National Ballet, Houston Ballet, Pacific Northwest Ballet, Scottish Ballet, NBA Ballet of Tokyo, Washington Ballet, Pennsylvania Ballet, Tulsa Ballet, Atlanta Ballet, Milwaukee Ballet, Ballet West, Colorado Ballet, Louisville Ballet, Ballet Memphis, Kansas City Ballet, Dayton Ballet, Cincinnati Ballet, Orlando Ballet, American Repertory Ballet, Connecticut Ballet Theatre, The David Parsons Company, The Alvin Ailey Repertory Ensemble, and The Juilliard Dance Ensemble. She recently premiered a full-evening work based on Margaret Atwood’s The Handmaid’s Tale for the Royal Winnipeg Ballet. 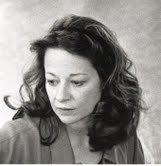 From 1989 to 1992 Ms. York directed a program for the production of new choreography at Pacific Northwest Ballet. She graduated from Skidmore College with a degree in English literature.